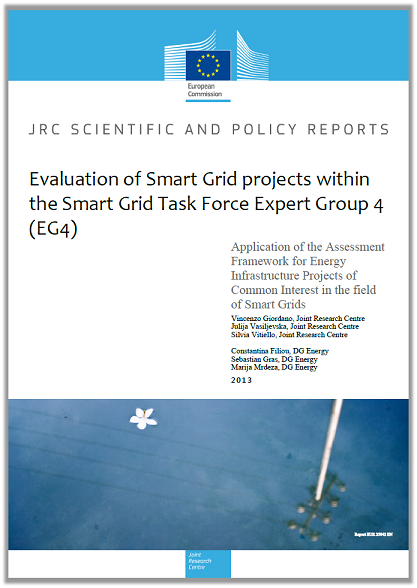 This report ("Evaluation of Smart Grid projects within the Smart Grid Task Force Expert Group 4 (EG4)") presents the outcome of the evaluation of smart grid energy infrastructure project proposals carried out by Expert Group 4 (EG4) of the Smart Grid Task Force (1). This process was carried out using the assessment framework developed by EG4 for Projects of Common Interest (PCI) in the field of smart grids. This latter and the present document shall serve as guidance for the regional groups when proposing and reviewing PCI, under the trans-European energy infrastructure regulation (Regulation (EU) No. 347/2013). You can download the report from here.